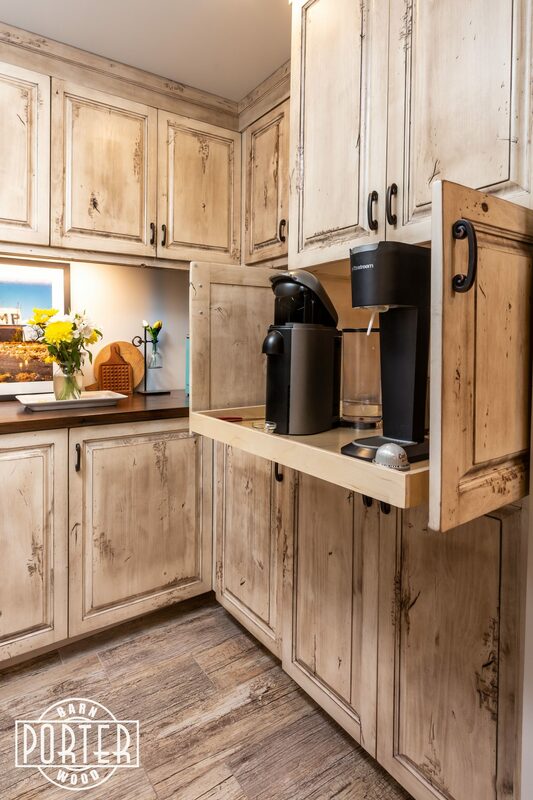 There are so many fun ways to make your everyday spaces more beautiful and functional. 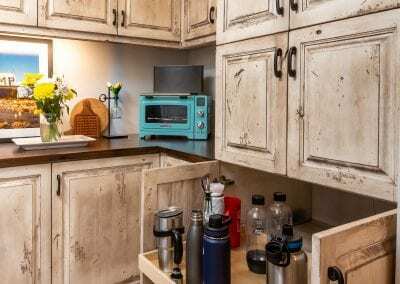 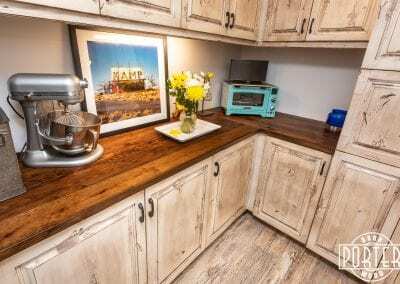 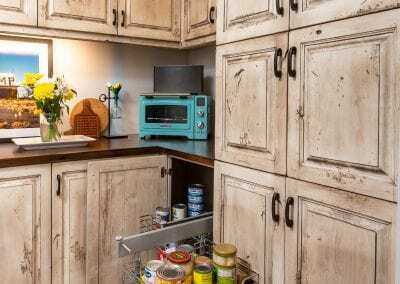 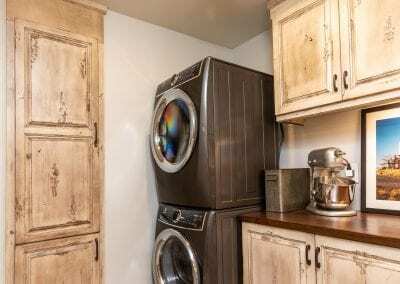 We updated this laundry room & pantry to include all sorts of space saving conveniences as well as a beautiful distressed white finish on the knotty alder cabinet faces. 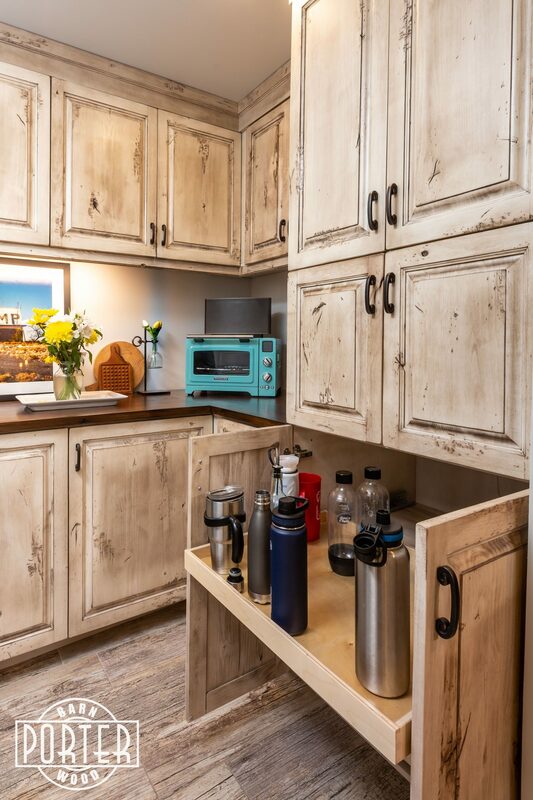 All of the pantry cabinets and fronts were manufactured in our workshop. 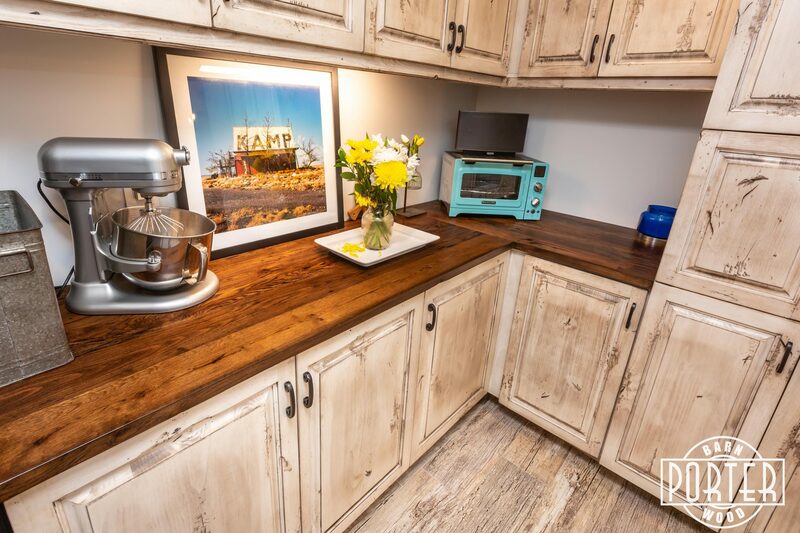 The countertops are made from our reclaimed mixed hardwoods. 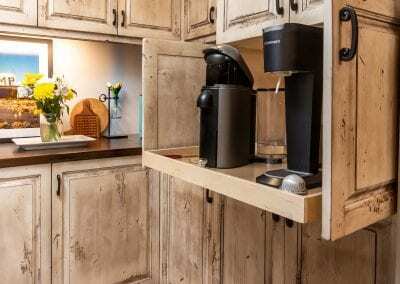 See pictures for an up-close look at some of the pull-out shelves and custom corner storage hardware. 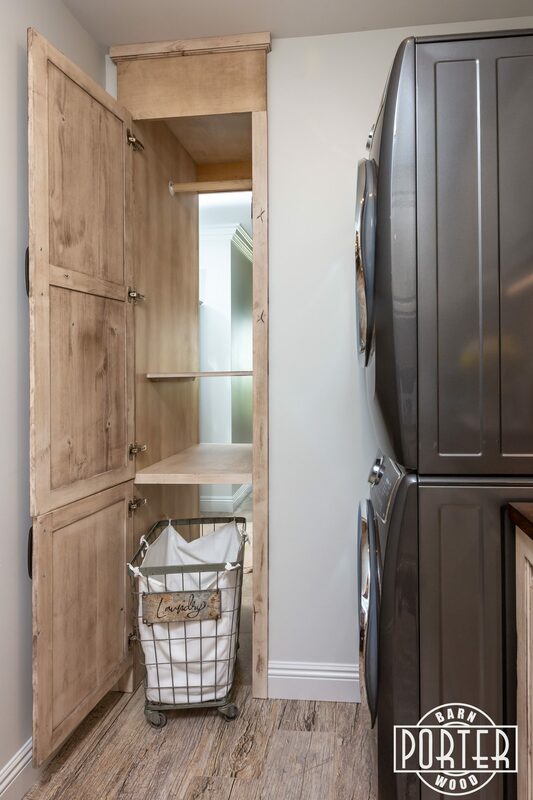 We created a pass-thru cabinet with a laundry basket to allow the clothes hamper to wheel directly from the master bedroom into the laundry room area as well as a hanging rack pass-thru above for finer clothing. 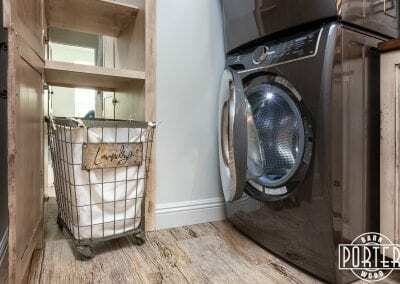 This laundry room idea helps tremendously, you no longer needing to cart the dirty laundry all the way through the house. 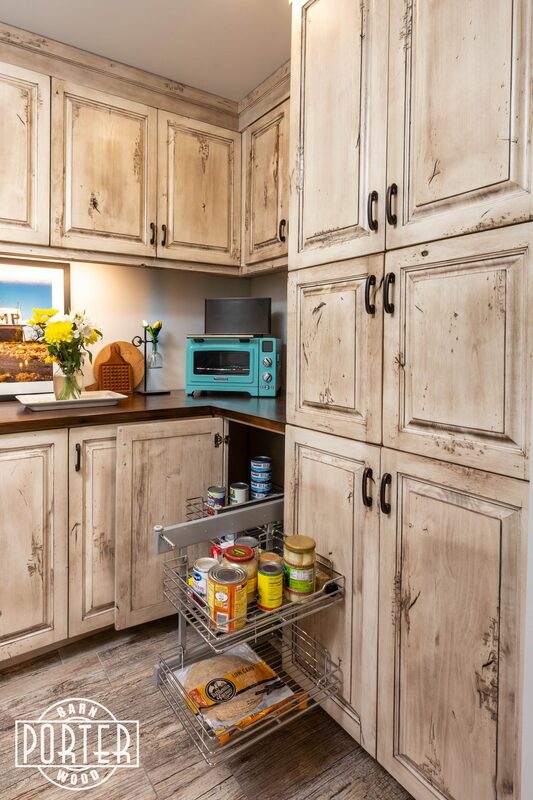 This custom pantry & laundry are a part of a whole home remodel we did in Scottsdale, Arizona. 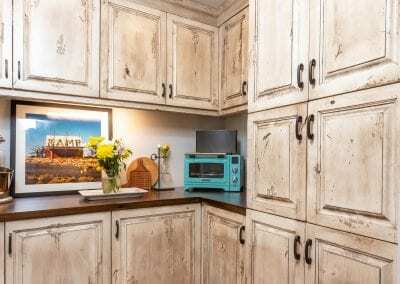 It is a townhome that our customer purchased and wanted us to remodel. 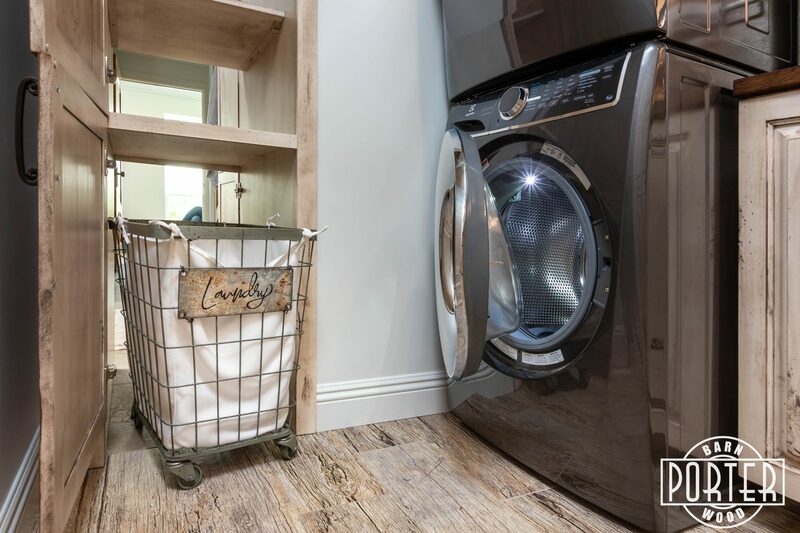 Be sure to keep your eyes out for the other projects as we release them on our website. 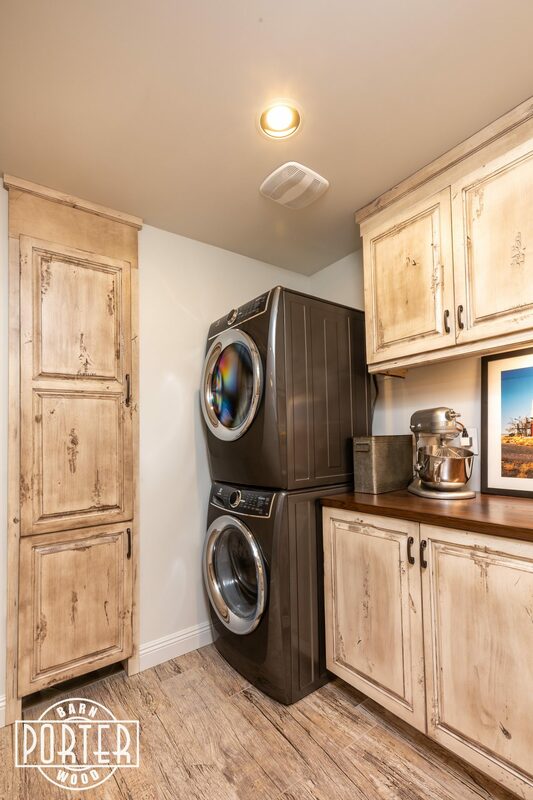 If you would like to see our other projects click here. 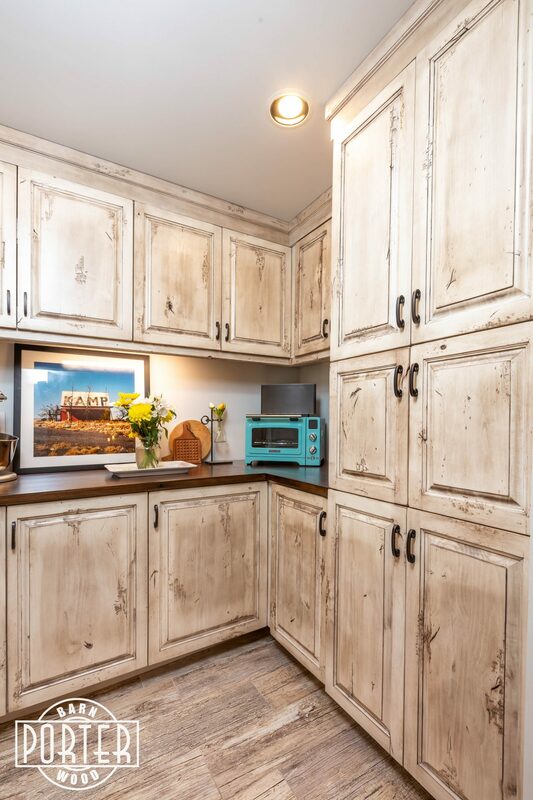 Every finish on the cabinetry and countertops were done by our sister company Bjorn Company. 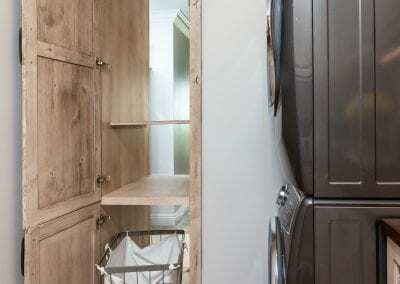 All photography is done by Architectural & Interiors Photographer Jesse Fitton Smith.